Visitors to the northern Italian city of Turin, or Torino, may wonder where and how they can see the Shroud of Turin, the famous linen cloth that many believe once wrapped the body of the dead Christ. The short answer is that you can visit a museum dedicated to the shroud as well as the church where the shroud is housed, but for the time being, you cannot actually see the religious relic itself. The Shroud of Turin, called "La Sindone" in Italian, is one of the most highly worshipped and controversial religious icons in Italy and perhaps in all of Christendom. The icon is an old linen shroud with the image of a crucified man. The shroud bears a rectangular pattern from where it was folded over the centuries, as well as the discernable impressions of the face, hands, feet, and torso of a man, with what are presumably bloodstains consistent with the wounds of crucifixion. The impression on the shroud also shows a wound in the side of the man's body, consistent with the wound said to have been inflicted on Jesus Christ. Those who believe in the authenticity of the shroud worship it as an image of Jesus, and believe that this is the very cloth that was used to wrap his crucified body. The earliest records of the shroud's existence date to the mid-1300s, though it may have been stolen from Constantinople (modern Istanbul) during the Crusades of the 1200s. It was already an object of veneration in France in the late 1300s and in the early 1400s, made its ways into the hands of the Royal Savoy family. In 1583, they moved it to Turin (Torino) Italy, where they safeguarded it for four centuries. In 1983, the family officially gifted the shroud to Pope John Paul II and the Catholic Church. Numerous studies have been performed on the Holy Shroud. In fact, it may be the world's most studied religious artifact. The most reliable studies date the shroud to around the 11th or 12th centuries, more than 1,000 years after Jesus Christ lived and died. 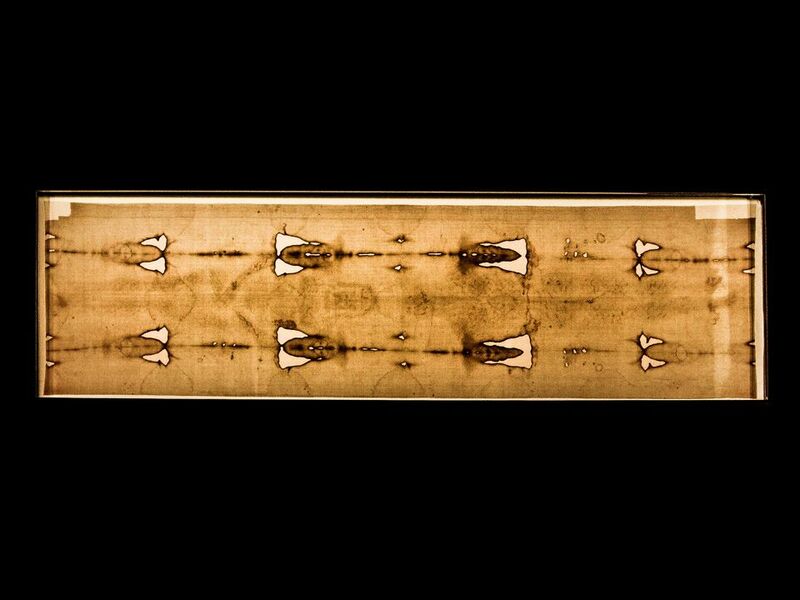 Skeptics contend that the Shroud of Turin is an artfully produced forgery, intentionally created to have the appearance of a burial cloth from the era of Christ. Those who believe in the authenticity of the shroud contend that damage over the centuries, including during a 1532 fire and various clumsy restoration attempts, have corrupted the shroud to the point that no scientific analysis can provide reliable dating of the cloth. The Catholic Church itself has refused to issue a judgment on the authenticity of the shroud but encourages its worship as a means of remembering the teachings and sufferings of Jesus Christ. For the faithful, the shroud remains a holy relic with profound spiritual importance. After all that, it's not actually possible to see the real Shroud of Turin, though replicas and displays at the Museum of the Holy Shroud do an excellent job at explaining the shroud and its mysteries. The museum is currently open daily from 9 am to 12:30 pm and from 3 pm to 7 pm (last entry one hour before closing). Current admission is €6 for adults and €3 for children 6-12. On display are artifacts related to the Holy Shroud and information about its complicated history and the various studies which have been conducted on it. There's an audio guide available in 5 languages and a bookshop. The Museum is in the crypt of Church of the SS. Sudario, Via San Domenico 28. The actual Shroud of Turin is housed in the Cathedral, or Duomo of Torino, in a climate-controlled case in a chapel built just to hold it. Because of its extremely fragile state, the shroud is not viewable to the public except during very rare public viewings – the last time it was displayed in public was during a 2015 exhibition attended by millions of visitors. So while people still travel to Turin to learn about and/or venerate the Shroud, they don't actually get to lay eyes on the relic. The Shroud of Turin is just one reason to visit Turin (Torino), a city with a very interesting history and lots to see. Consult our Turin Travel Guide for more information about what to see and do in Turin.